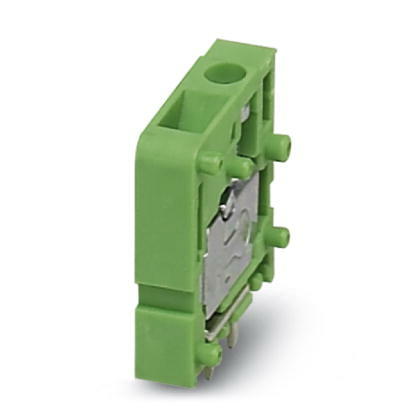 PCB terminal block, nominal current: 24 A, nom. voltage: 320 V, pitch: 5 mm, number of positions: 2, connection method: Front screw connection, mounting: Wave soldering, color: black. The article can be aligned to create different nos. of positions!